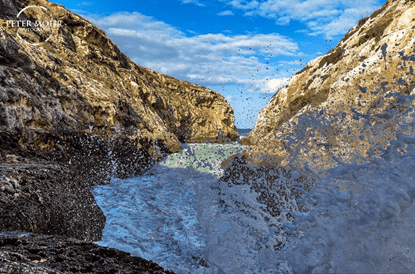 In this article, we outline where to go in Gozo if you are looking for a truly smashing experience. Gozo is such a wonderful little place! Rolling hills, quaint villages and old ladies working lace in their front porch are the order of the day. 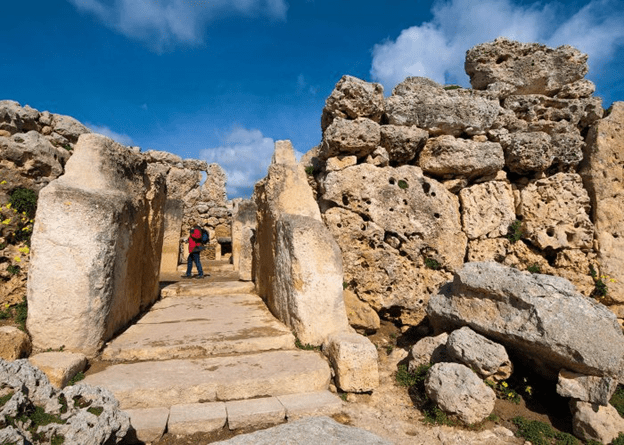 Gozitan lifestyle is still authentic and untainted by tourism and the heavy urbanisation that has afflicted sister island Malta. Time here moves at a slower pace and locals joke that on this island, GMT means “Gozo Maybe Time”, as everyone takes their time going about their own business. Yet, time is of the essence when visiting on a day trip - an early start means making the most of the day. Since you are starting early, begin your Gozo tour with a Gozitan breakfast! Get off the ferry at Mgarr and immediately head east towards Nadur, a small village that is world-famous for its carnival. 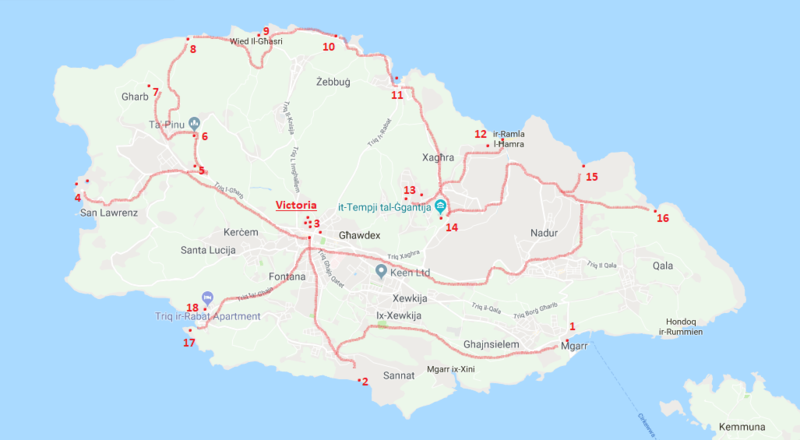 Nadur, however, is best known locally for the wonderful “ftira” that is available here from two independent bakeries: Mekren and Maxokk. The Gozitan ftira is not the tuna bread roll you may be familiar with, but a local pizza of sorts. It consists of a bread base and is typically garnished with sliced potatoes, onions, capers, olives and tuna, although there are other variations. Enjoy the spectacular view from 470 feet high at Ta Cenc, which is famous for its rich fauna and flora and mysterious ancient cart ruts from the Neolithic era. 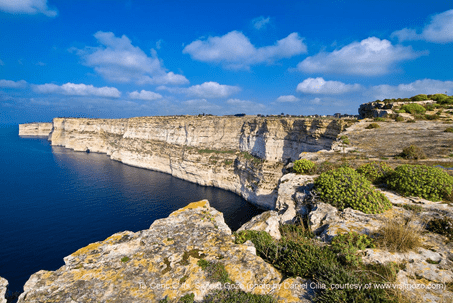 Of all the things to do in Gozo, Victoria is an absolute must. 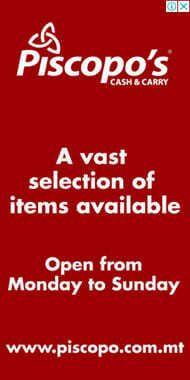 The heart of Victoria is the heartbeat of Gozo. A handful of busy roads embrace narrow winding streets still bearing a traditional fashion. The fortified old part of the city, the Citadel, stands gallantly reminiscent of its heroic past and identity of old. 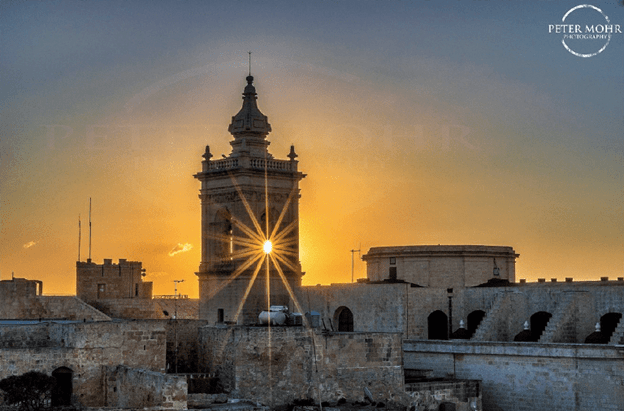 This is where you can visit a number of interesting museums and the old prisons, the John’s Demi Bastion, the Aurora Theatre, and the beautiful Cathedral of Assumption. Most impressive of all is the view - you can see the coast around the whole island and it never gets boring. 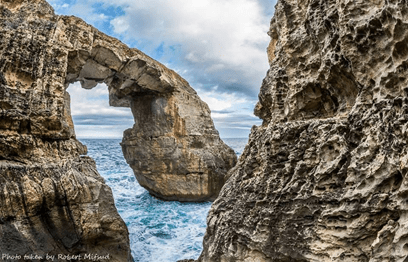 The Azure Window, also known as the Dwejra Window, was a 28-meter-tall natural arch on the island of Gozo in Malta and collapsed by a heavy storm on the 7th of March in 2017.The inland sea is a kind of natural pool connected to the high seas by a tunnel that has been dug in a large rock face. At this place the water is warmer than the sea for swimming. Karmni Grima was a Maltese peasant whose mystical religious experience led to the construction of the church of Our Lady of Ta' Pinu. 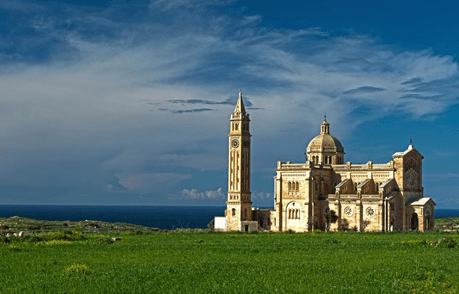 The Gozitans (but also the Maltese) at a high pilgrimage site in Gharb in the center of the island, the most famous of the Maltese archipelago, is the Ta' Pinu basilica built in the middle of the campaign on a site where you make room for many "miracles." The Chapel of St Demetrius is the only church in Malta dedicated to this Greek saint. The legend states that an old woman named Natalizia Cauchi nicknamed Zgugina, had one son named Matthew, who’s got taken away by pirates as a slave.The desperate Zgugina prayed to St Demetrius, promising: if he brought back her son she would light an oil lamp every day in the chapel. At this very moment he stepped out of the painting on the wall and rescued Matthew from the capture of the pirates. The legend says that fishermen have seen Zguigina's oil lamp still burning on the bottom of the sea floor. The limestone natural arch can give you a little bit of insight of how breathtaking its greater sister once could be. Most of the people don’t even know about its existence, so it’s a perfect spot to come up with when it comes to less known sights. A truly spectacular location, where stone steps take you down deep into a gorge with the valley on one side and the sea snaking in on the other. 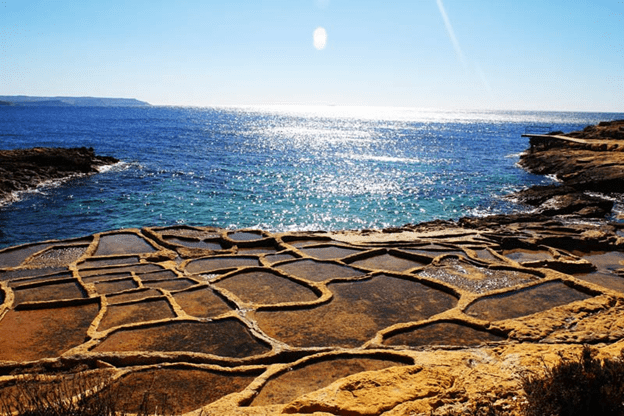 A walk along the east side reveals saltpans and right there, inconspicuously leading to a marvellous sea hewn cave in the bluest waters, is a small flight of steps leading to a ledge. So typical of how simple paths often lead to awe-inspiring beauty, so you never need to worry about what to do in Gozo. By now, you must be hungry again so head to nearby Marsalforn and enjoy one of the many restaurants or cafes lining the seafront. Afterwards, you can either relax by the small beach or head along the coast to several lovely swimming spots. Even if you’re not hungry yet, you’ll be glad for the take-away when you get peckish after a visit to the nearby Ramla Bay. 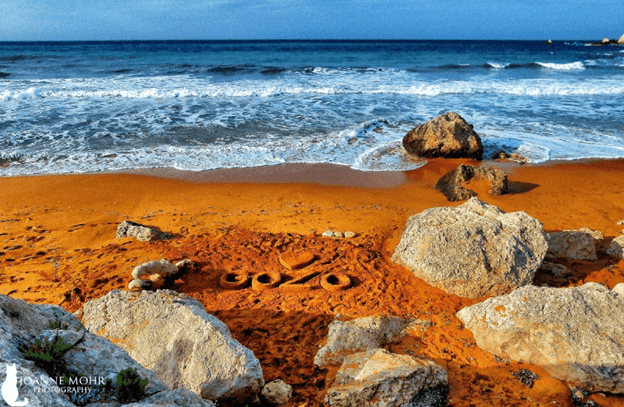 Ramla is a unique beach on the Maltese Islands due to it’s burnt orange sand that lends it a surreal glow. Take a swim in its clear waters or walk to Ghar il-Mixla above the far right end of the bay for spectacular views from an impressive cave. 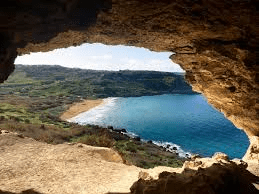 In the heart of the traditional Gozitan village, beneath two separate private houses, you can visit Ninu’s Cave and Xerri’s Grotto with their mighty stalagmites and stalactites. These marvellous caves were discovered while digging wells. Another cave worth a visit is Calypso’s Cave, where the nymph is said to have kept Odysseus as a prisoner of love for seven years. For more recent history, head down the road to Ta’ Kola Windmill, which has been marvellously restored to its original pristine glory. The windmill offers insight into local life at the time when it was in daily use. You may also be interested in the rather unique Pomzkizillious Museum of Toys, which includes a late 18th century Maltese Doll with a carved wooden head. 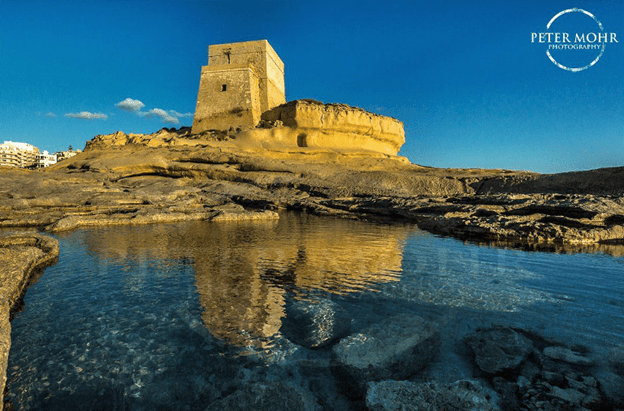 From Ramla, head directly to Xaghra, where you can spend a few hours exploring Gozo’s historic, cultural and natural heritage. The Ggantija Temples are a complex of Megalithic Temples that are about 5600 years old. They are the world’s oldest freestanding structures and are listed as a UNESCO World Heritage site. With stones rising more than 6 meters high, the construction of prehistoric temples remains an enigma for archaeologists. A legend indicates the feelings on the island, hence the name Ggantija meaning "gigantic". The lovely red sanded beach, also mentioned as the little sister of Ramla, presents a natural feeling of serenity. The cove is used by a small number of fisherman who have turned some caves at the base of the cliffs into boat houses and storage for their fishing gear. When planning what to do in Gozo, one must include Xlendi and this can be your last stop before heading back to the ferry. Xlendi Bay is a beautiful little sandy cove. A cliff on one side protects the little boats dotting their way to the open sea. If you are in time, you could take an easy hike along the other side across the valley and watch the sunset at Xlendi Tower. Back to the central part of Xlendi, head to a treat located at the far right as you face the sea. With tables right at the water’s edge and a wide choice of fish, meat, pasta and Mediterranean dishes, this restaurant is a favourite with all kinds of visitors and the locals. A meal at The Boat House restaurant is the perfect end to a perfect day with the Gozitans.